Israeli soldiers fired, on Friday evening, an artillery shell at an observation post run by the al-Qassam Brigades, the armed wing of Hamas, east of Gaza city. 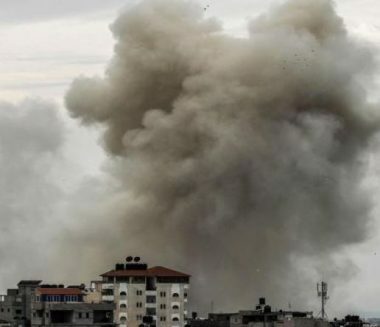 Media sources in Gaza said the shells caused damage but did not lead to injuries. Furthermore, the Israeli army said it targeted Palestinians launching flaming balloons and kites into lands across the perimeter fence. 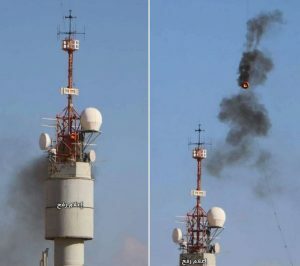 In related news, an Israeli military communication tower near the border fence caught fire after a flaming kite was launched at it from Gaza. The tower is located across the fence in Karem Abu Salem (Karem Shalom) military base, east of Rafah, in southern Gaza. 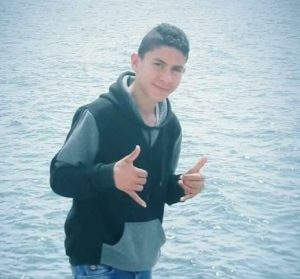 Also on Friday, the Palestinian Health Ministry has reported that Israeli soldiers killed a teenage boy, identified as killed Bilal Mustafa Khaffaja, 17, and injured at least 210 others, during the Great Return March processions, in several parts of the besieged Gaza Strip.